A school funded by LeBron James in Akron, Ohio, is a beautiful example of what all our public education should look like. 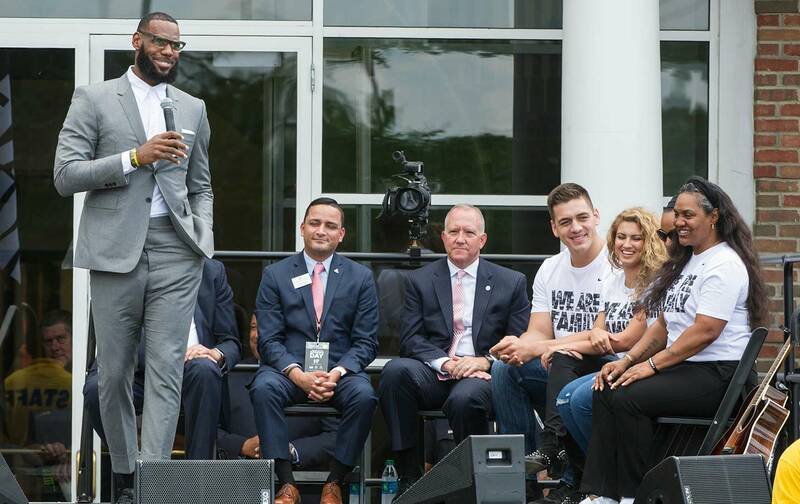 “We don’t deserve LeBron James.” This has been the drumbeat, steadily repeated on social media, ever since the greatest basketball player on earth opened a new public school in his hometown of Akron, Ohio, called I Promise. The school, which serves 240 at-risk third- and fourth-graders, is a sight to behold. It stands as a breathtaking piece of architecture, sending an immediate message to the children about their worth from the moment they step through the doors. In addition to meals, job training for parents, and even a bicycle and helmet for every student, the school offers guaranteed college tuition for everyone who goes on to graduate high school. The solution does not lie in Baltimore’s own Carmelo Anthony building a school. It lies in agitation against Trump, Betsy DeVos, and their marauding agenda of for-profit schooling. It lies in remembering the all-too-true slogan that a teacher’s working conditions are a child’s learning conditions. It lies in enacting a Marshall Plan for public education that lowers class sizes and builds new facilities so every child can have that look of beautiful hope on their faces that the children of I Promise showed the world this very week. LeBron has shown that he will not donate funds without also speaking his mind. Those of us without the resources but also with something to say need to walk in his footsteps.